We have 3 stitching books from Brenda Hart and the new Bling, Glitz & Glamour book by June McKnight in stock now. We have a few Bling books autographed by June. These are going to be very popular! As many know, I have written stitch guides for Ashley Dillon of Tapestry Tent’s first 3 Marches–Easter, Halloween and Christmas. 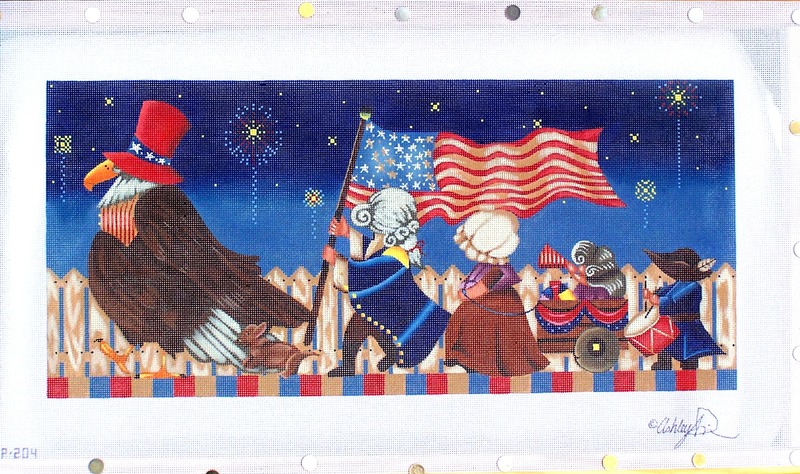 I have pre-ordered Thanksgiving and the 4th of July and I will be writing stitch guides for them. As always, the canvas price includes my stitch guide. You can pre-order now on our website. 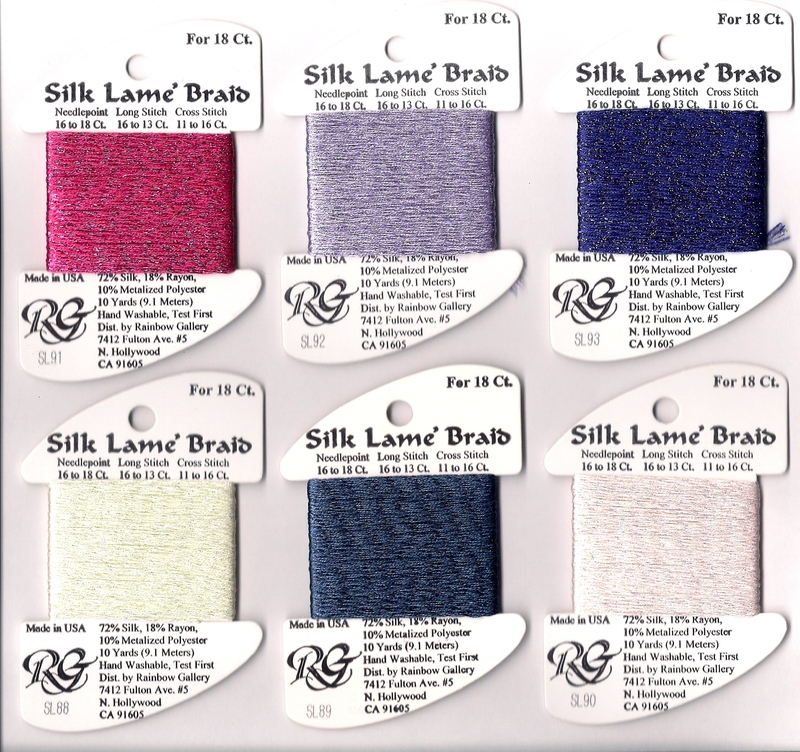 For Silk Lamé fans, I don’t need to say a word – we’ll have more colors to add to our palette. The new colors are Lemon Lite, Blue Jeans, Barely Pink, Dark Raspberry, Lite Lilac and Dark Periwinkle. We have them in stock and you can order from our website. Think pink and lime green–Lilly Pulitzer colors for your canvases. The 3 new colors are available in Neon Rays and Neon Rays +. Use them in combination or singly and bring more shine and bling to your canvas. In stock now. SuZy Murphy has published another must have book. 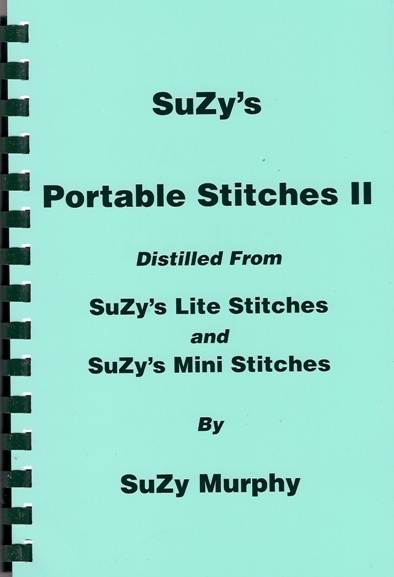 SuZy’s Portable Stitches II distills SuZy’s Lite Stitches and SuZy’s Mini Stitches into one very portable book, the same size as Portable Stitches. We have these in stock on our website.